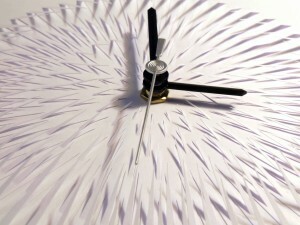 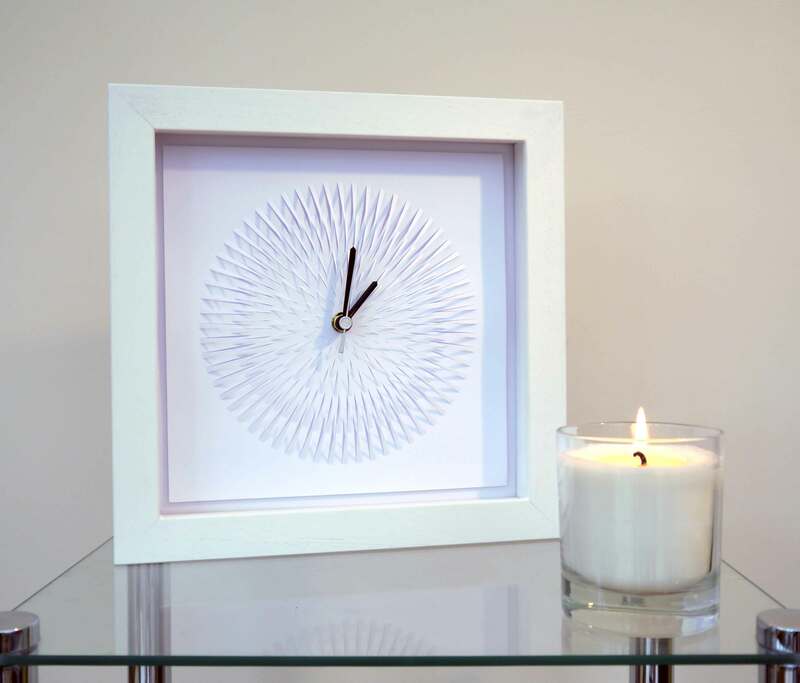 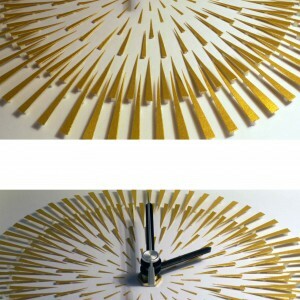 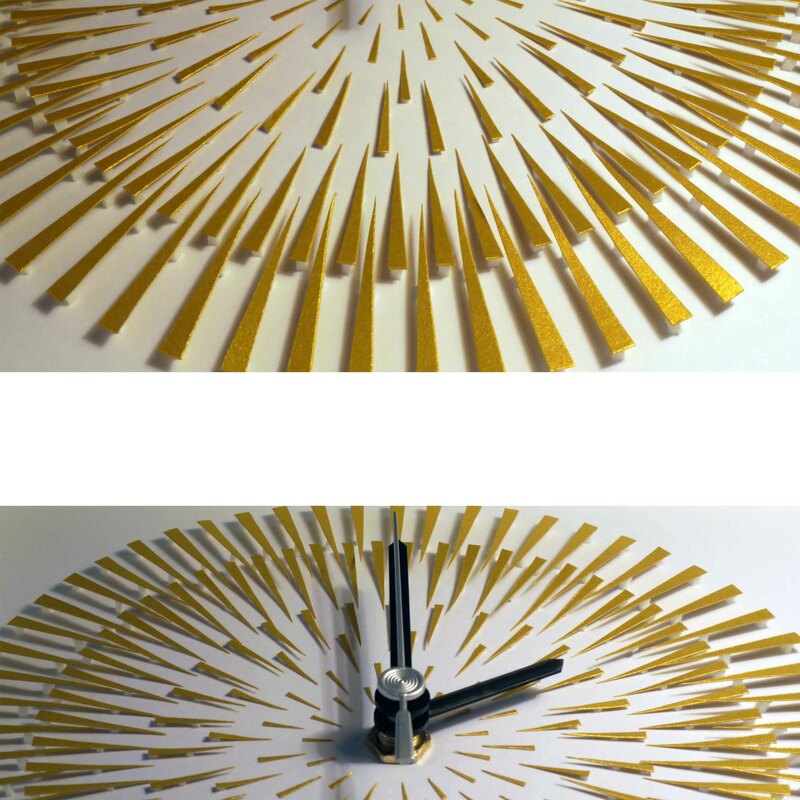 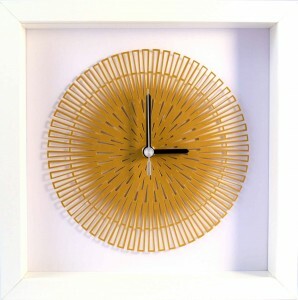 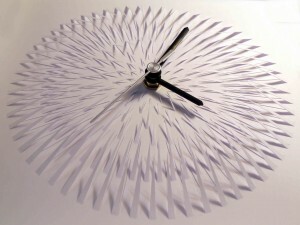 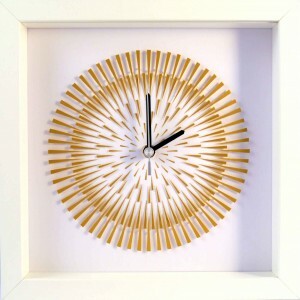 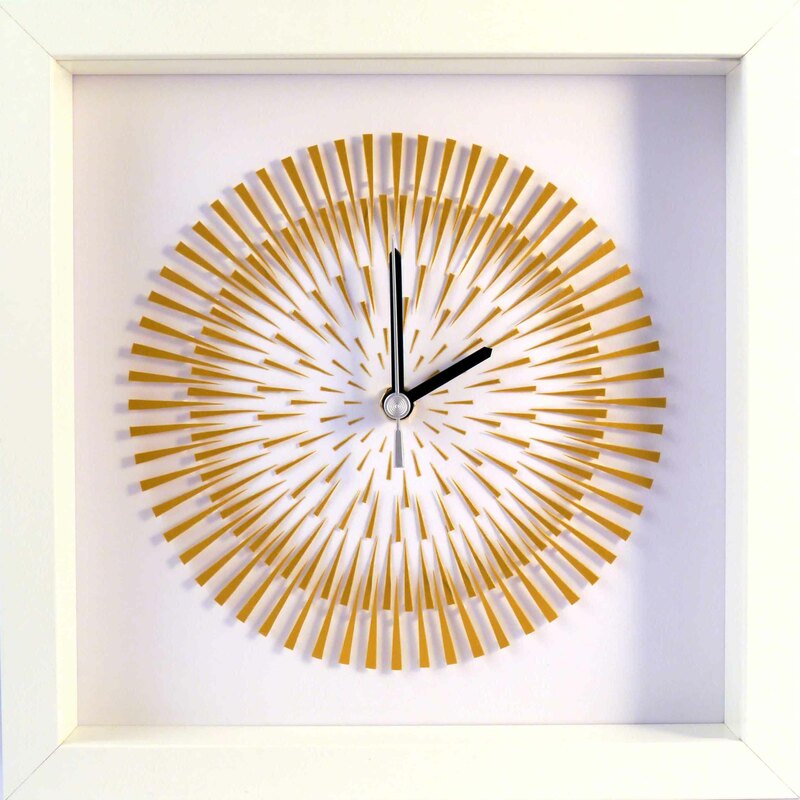 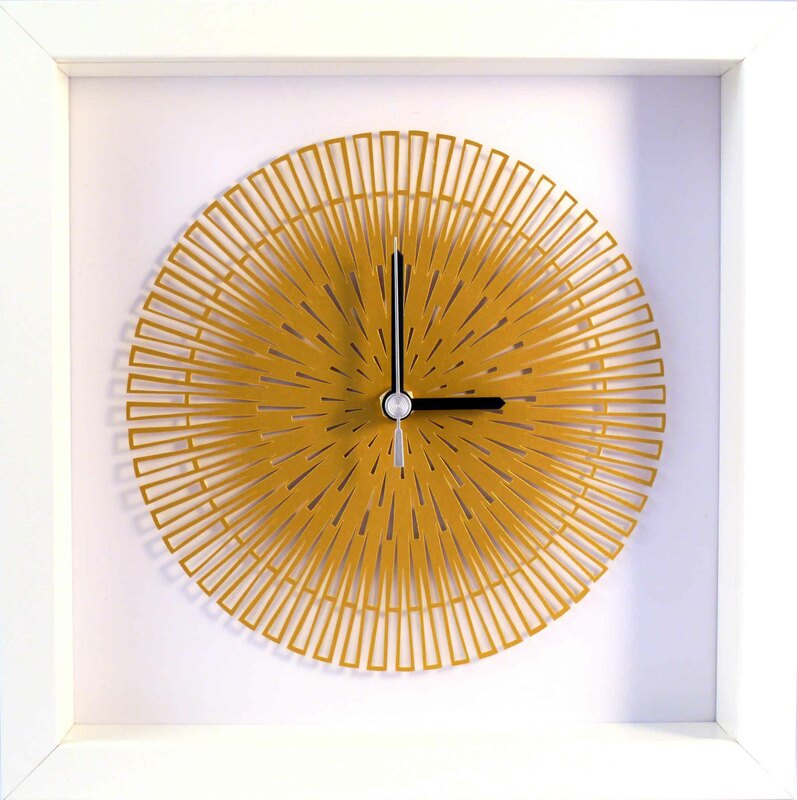 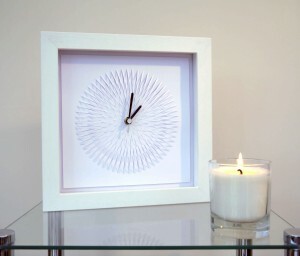 This white on white clock has been created through the manipulation of paper. 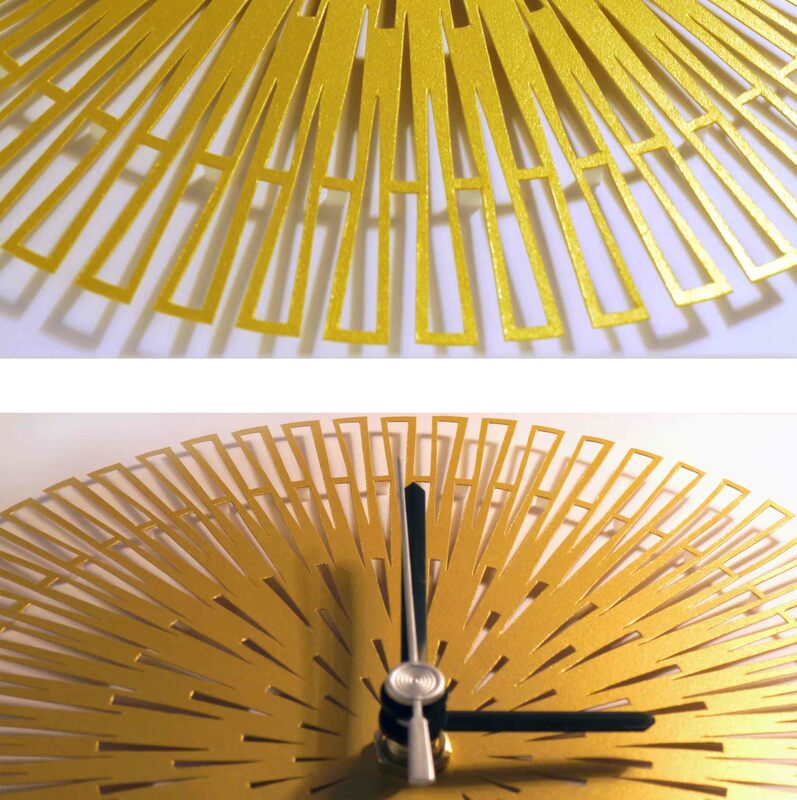 The smooth surface has been transformed with the elevation of crisp geometric sections capturing the light. 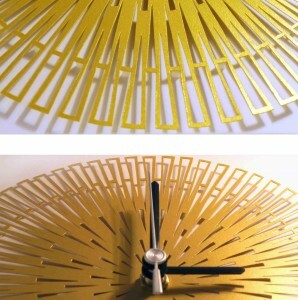 This allows delicate shadows to evolve during the course of the day causing the perspective of the clock to transform, generating a sense of optical illusion.